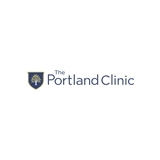 The Portland Clinic - Pediatrics (Beaverton) - Book Appointment Online! She's always so helpful and thorough! She makes sure all of your questions are answered in a way that a first time mom can understand. We love her! She's an excellent pediatrician who always makes us feel like our concerns about our son are important. Dr Ulmer is always very thorough and asks a lot of questions. She takes time with us and address all of our concerns. I would highly recommend her.